Home Latest News Introducing our 2018 show, Once Upon A Time! Introducing our 2018 show, Once Upon A Time! We’re delighted to announce that our annual Performing Arts show is coming in November! Here’s some details about what our talented performers have in store for us this year. 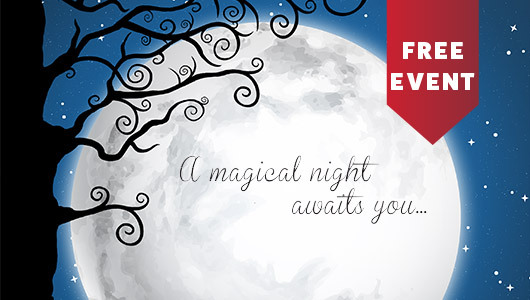 Are you ready for a magical night? This is our fifth annual Performing Arts show, and with each year we’re raising the bar! In previous shows, our participants played a large role in deciding what songs or dances to feature. But this time, we’ve taken the collaborative process to a whole new level! Participants shared with us their favourite characters and interests, which we explored through our weekly workshops. We then weaved a story out of these characters, and each performer will have their own unique role and costume! This format lets each participant have their moment in the spotlight, and show off the singing, dancing, acting, and speaking skills they’ve been developing! Performed at the John Curtin College of the Arts, it’s set to be an unmissable event. We invite family, friends, and the local community to join us in celebrating the achievements of our talented participants! Check out the Highlights reel from last year’s All Aboard! Seating is not allocated, so please arrive ahead of the starting time to grab your seats and settle in. Booking is essential! Tickets are required for entry, so RSVP above or call (08) 9445 6507 to grab your spot! You can also book directly through TryBooking HERE. Interested in exploring new skills? For more info about our Performing Arts, Music Rocks, Art Workshops or any other supports, contact us HERE or at 1800 610 665.